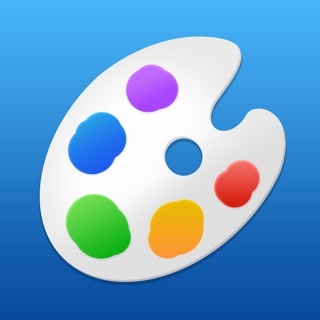 This app simulates many aspects of pastel painting, including soft pastels, oil pastels, pastel pencils, and realistic color blending using your finger right on the screen. Perfect for creating beautiful works of art, but also for practising or for a quick sketch whenever and wherever you have a burst of inspiration. Pastelists and other artists can try out ideas and compositions before starting on a new painting in real life. Beginners will be able to practise and refine their skills, without the added cost of pastel sticks and specialty papers. ₁ Since version 3 (the code was completely rewritten). The engine is based on Metal, uses 128-bit color and it always utilizes floating-point arithmetic for increased accuracy and a high dynamic color range. 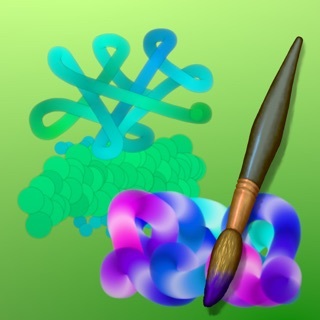 The app calculates everything in real-time, instead of just dragging a simple “brush” across the painting. Each stroke interacts with what’s already there, as it would in real life. One of the most widely used techniques in pastel is to blend the colors into each other on the paper, as part of the painting process. This is fully supported in iPastels! When painting with soft pastels, you can apply different colors and then use Smudge or the Cotton Swab to blend and smoothen the colors. With oil pastels, the blending is mostly done by the pastel sticks themselves, but occasionally you may want to use Smudge or Cotton Swab for softening backgrounds and shadows. You can also use pastel pencils for the initial sketch and for adding details, or for making full pencil drawings. All the buttons and control knobs in the toolbar can be changed and adjusted while you paint! The strokes change characteristics depending on how you use the Pencil (pressure, tilt). 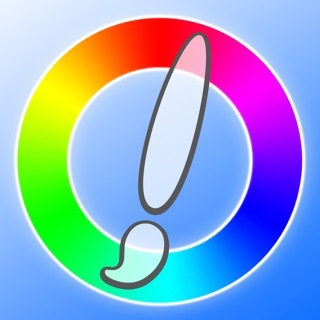 While using Apple Pencil, you can assign a different tool, such as Smudge, to the finger, which can be really useful! Tap twice on a tool, and select the option “Use as 2nd Tool”. You can swipe the toolbar toward the screen edge to remove it. Swipe in from outside the edge to get it back. You can also swipe the toolbar over to the other side, to get it out of the way. The unique Seamless Pattern Editing mode lets you display the picture as tiles next to each other. You’re free to paint anywhere on these tiles, so you can easily create seamless patterns for use as website or desktop backgrounds, in print, or for textures in 3d modelling. Toggle this feature on/off in “Work in Progress”, in the menu that comes up when you tap the “…” button. You can pinch to zoom, drag with two fingers to pan, or rotate the picture. To reset the zoom/pan/rotation, tap once with two fingers, and again to go back. To open the Layer Control, tap the button that has a mountain/house/flower (symbolizing the selected layer). Note that the number of layers is restricted to two unless you upgrade to Pro. There’s a scrollable palette, where you can pick colors, as well as store new ones. To edit any palette section, long-press on a color in it, and a menu will appear. Adjacent to the palette are three control knobs that adjust the hue, saturation, and brightness. The Current Color button is the large colored rectangle next to the knobs. Tap it to open the Current Color menu. [IMPROVED] Now compiled with Swift 5. [IMPROVED] Temporary Palette Section: Colors are now added and removed to/from the end of the section instead of being inserted/deleted first. [FIXED] An issue affecting the Layer Control. Great feel and love the layout! Pastels are my favorite hands on medium...however, the dust bothers my eyes. This app is the closest thing to the real thing and NO DUST! I quickly upgraded to the Pro version...it is very good. I love the new layer feature layout with toggles and tracing too! The mountain, house, flower icons are brilliant. I also love and use the color feature that shows the complement of a selected color in the drop down menu; makes a painting pop! Simplicity is wonderful. 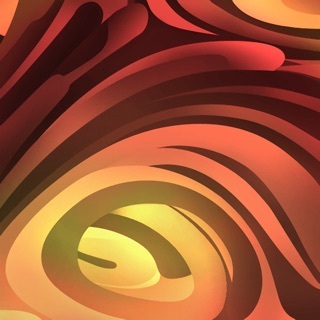 This app allowed me to load it and immediately start making art. The creative choices....size of stroke, blur, delete, colors....are simple and allow multiple dozens of options to fine tune your parameters before you make a stroke. I used a pencil with a capacitive tip, as I found my finger was too large to control placement of colors. Recommend.